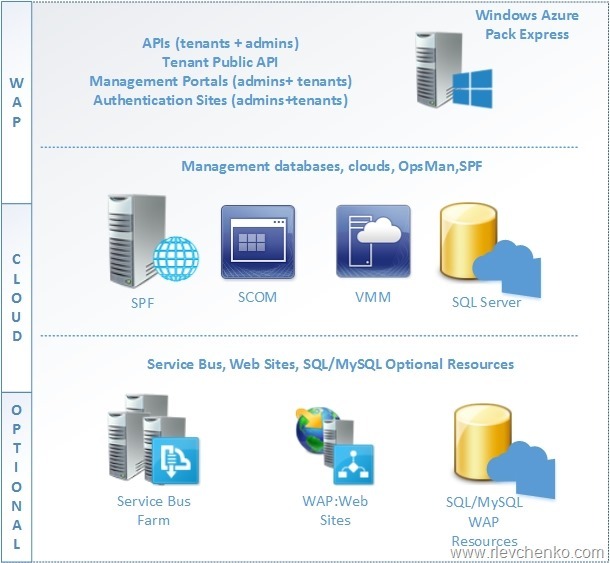 This is the second part of series of posts related with Windows Azure Pack (WAP) and VMM Clouds. Optional resource = what you are going to connect with WAP (for example, VMM cloud). In other words, WAP is interface between your resources and tenants=clients. It’s a great solution for all client-oriented company and to start providing cloud resources to customers without any additional cost. On the following picture you can see the main components of WAP , cloud components and optional resources. WAP can be deployed in 2 different ways – express and distributed. In the express deployment you install all WAP components on one machine and it’s recommended only for test or demo environments. If you want to have WAP in your production , you should use distributed deployment . 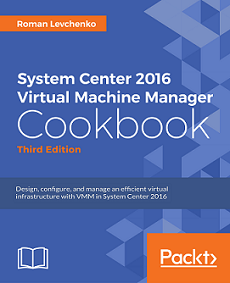 In such a deployment, WAP required and optional components are installed on multiple machines. 12. Verify IIS sites (win+r –> intemgr), MgmtSvc-… are WAP’s sites.